Tracy has been practicing law in the State and Federal Courts of Pennsylvania and New Jersey since 2002. 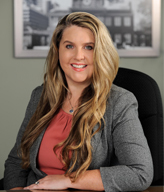 She concentrates her practice in the area of civil litigation, primarily asbestos, personal injury, product liability and environmental matters. She also has experience handling Veteran appeals of service and connected disability claims with the Veterans Administration.